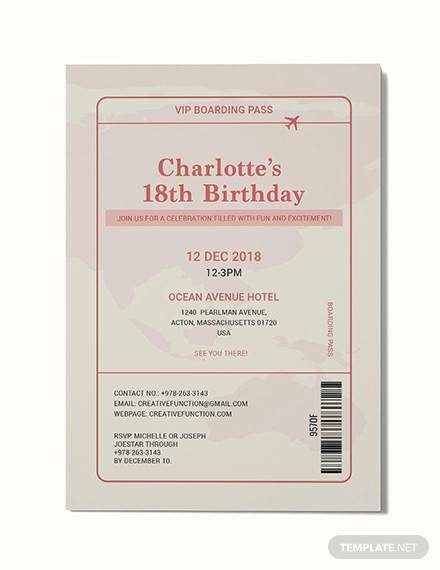 A boarding pass template provides samples of boarding passes that can be used by anyone especially when you want someone to surprise for a trip. 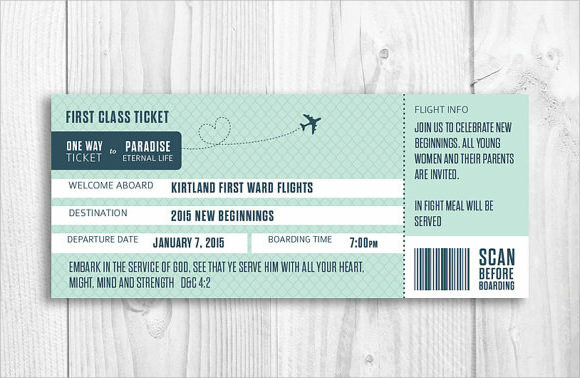 It displays number of designs and layouts of the boarding pass which can be a basis for creating a unique one for someone.Boarding pass template is in the form of Microsoft Word and it is very convenient and accessible to use because it is ready made available without any charge for you to download.A boarding pass template is useful as part of Ticket Invitation Templates or announcement made to everyone. 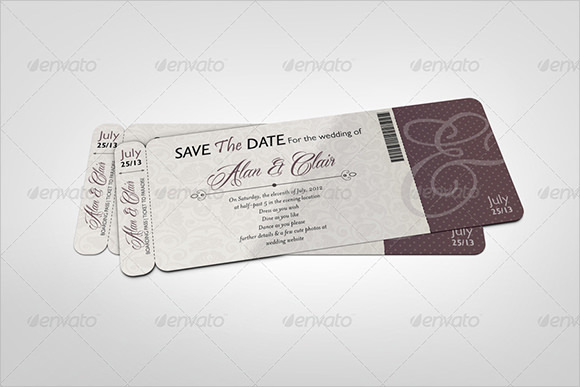 If one wishes to travel during vacation or holiday, will have to receive a well content and designed boarding pass. 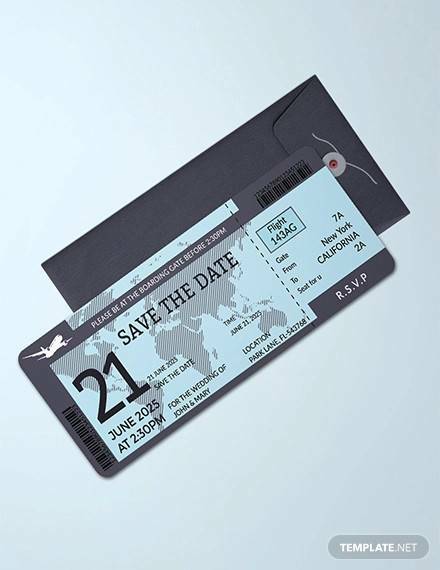 When travelling by air, boarding pass provided by the airline by which one plans to travel is needed. 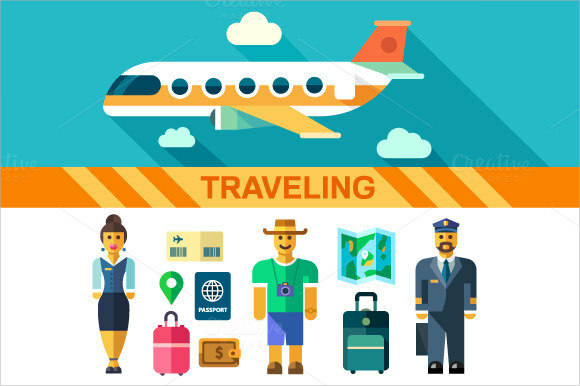 It is always good to have your trip planned well in advance to avoid last minute rush and get disheartened by the non- availability of seats or high cost bookings. 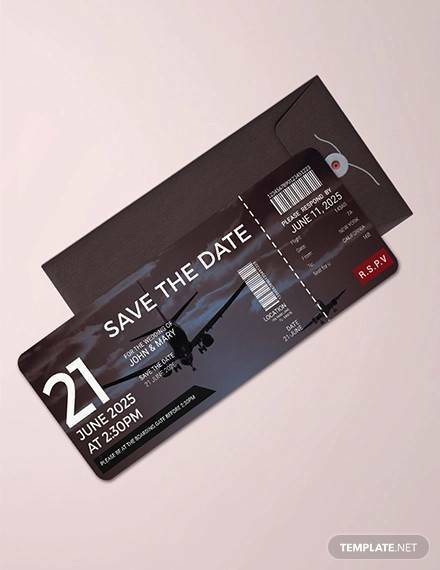 An airline ticket bears the passenger’s name, the flight number, date and the scheduled time for departure. In case if a passenger has a paper airline ticket, also called flight coupon, it may be required to be attached to the boarding pass. During check-in, a passenger is required to show a document called boarding pass that is provided by the airline. This gives the passenger the permission to board the airplane for a particular flight. These can also be checked online by the passenger and printed. 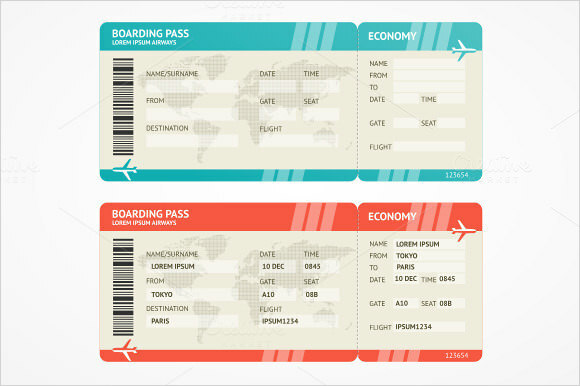 Generally, if a passenger has an electronic ticket, he/ she will require only the boarding pass to board an airplane. If in case he has the hard copy of the airline ticket, boarding passes are at times collected and counted to cross check passenger count. 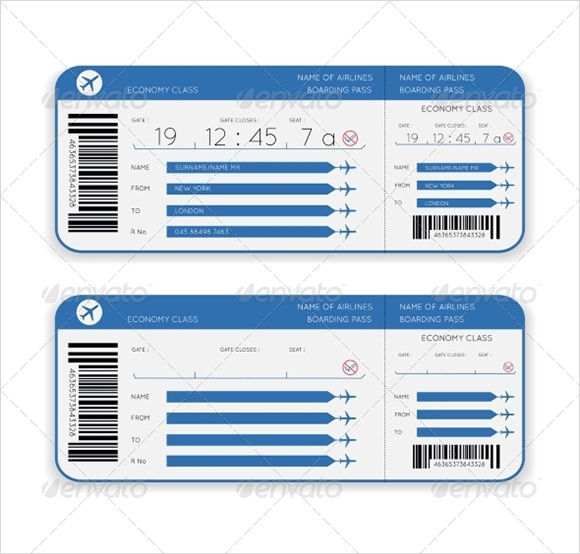 Why Does a Person need Amazing Sample Boarding Pass Templates to Download? 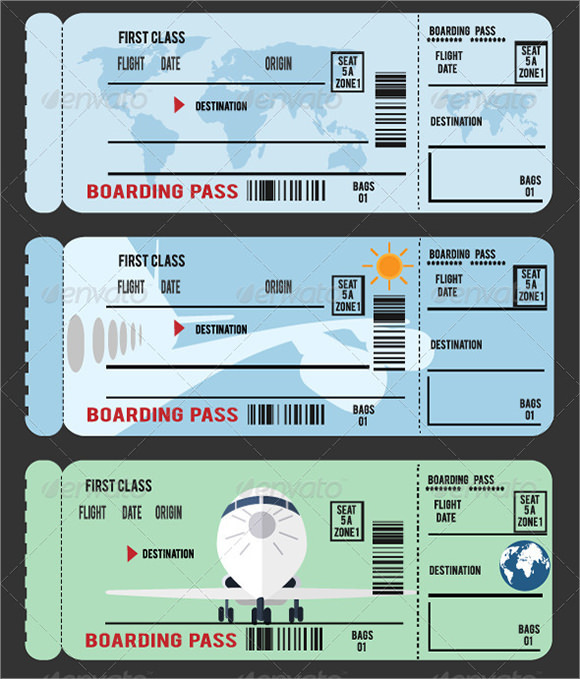 Boarding pass is needed to board a flight when a person plans to travel to some place by air. There are various airlines to choose depending upon the budget, need and availability of booking. The airline that the customer chooses to travel by provides the customer with a boarding pass that permits his boarding on the aircraft. 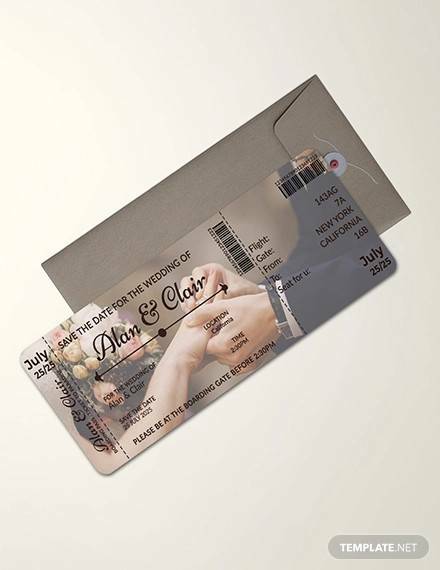 The customer gets an electronic ticket or a paper airline ticket first and only then he is allowed to enter the airport where he collects the boarding pass from the respective airline counters. 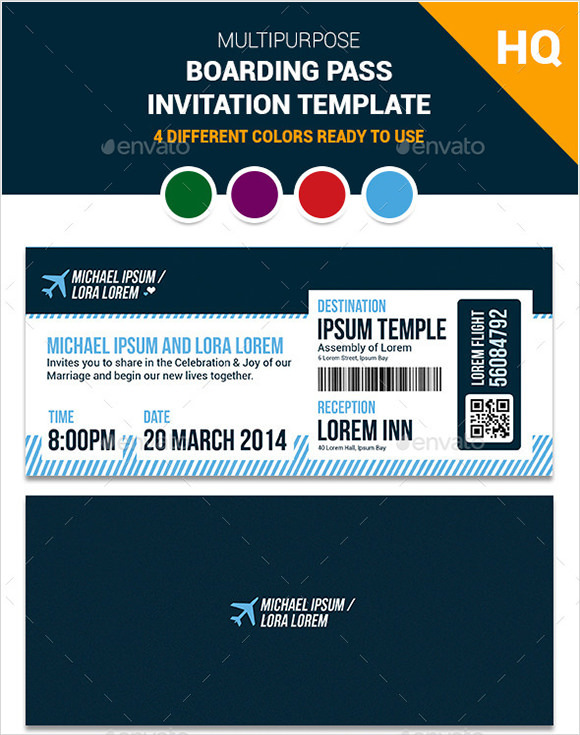 When Does a Person Need Amazing Sample Boarding Pass Templates to Download? Getting an airline ticket is one thing but to board the aircraft, one needs to collect a boarding pass. 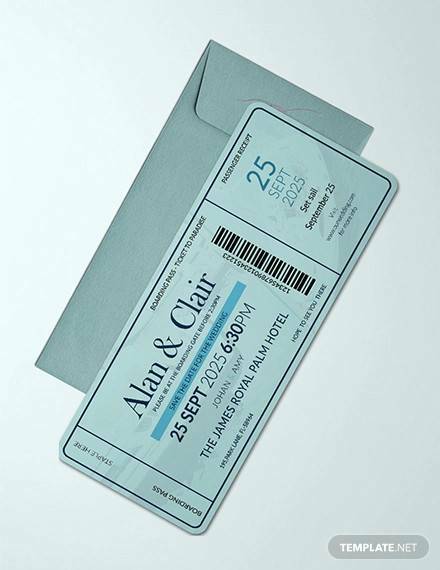 Many airlines nowadays provide the facility of print- at- home boarding passes that is; the customer can print the boarding pass which is available online at his/ her end. Second option can be manually collecting the boarding pass from the respective airline counters at the airport. While boarding the airplane, the gate agent checks the pass and keeps a portion of it to cross check passenger count. Many airlines have nowadays switched to issuing electronic boarding passes. The passenger checks the boarding pass either online or on a mobile device. 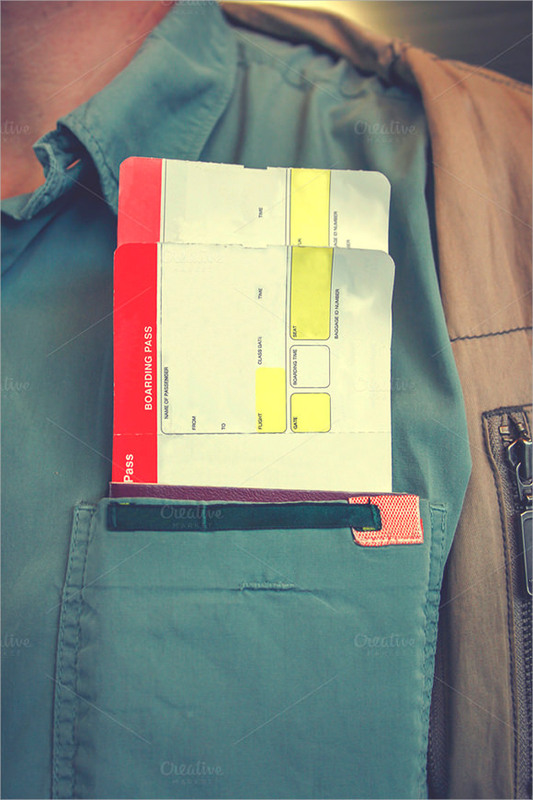 The boarding pass is sent on the passenger’s mobile device as an SMS or an e-mail. Once the online reservation is complete, the client can tick the option that offers for a mobile boarding pass. There are two ways to get it done, they are: have one sent to mobile device through SMS or e-mail or use an airline app to check in and the boarding pass appears within the application. It may not be possible to always have an access to a printer. 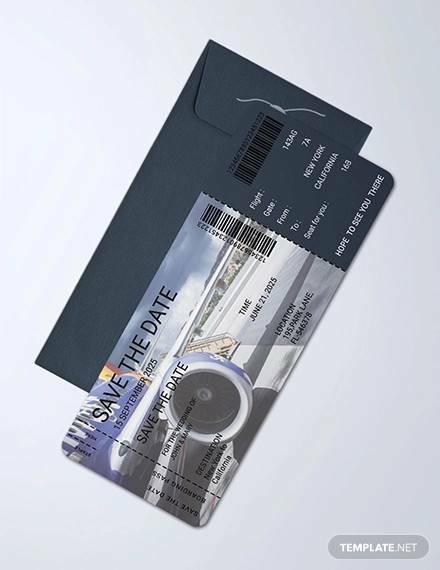 So, a mobile boarding pass is a good idea as it eliminates the wastage of time. Also, it is eco- friendly at the same time since paper is not used.